Have you ever lost pictures from your Canon digital camera? Did you ever hit delete all instead of deleting that one bad picture? Canon digital cameras are one of the most popular choices when it comes to taking amazing, professional pictures. You get access to so many new features which let you take aesthetically appealing photos. However, imagine how bad it would be if you lose all these photos? You won’t be able to bring back the moments and the Canon camera would give you no option for recovery. Hence, in this article, we will discuss how you can recover deleted photos from your Canon camera. Let’s see how. Don’t tamper with the camera. You can overwrite the data which will lead to permanent data loss. As long as you do not rewrite on the SD card, it is possible to recover the photos. Don’t connect the SD card to random PCs to avoid malware attack. Don’t click new pictures until old ones are recovered to avoid permanent loss of deleted photos. If the data on your Canon camera is not available, there can be many reasons for it. Due to these reasons, you may not be able to use, transfer, or edit these photos. Trying to access the camera, again and again, can also lead to permanent data loss. This is why it is necessary to know the reasons for deleted photos. Your camera can have a virus. This can corrupt or delete the saved files. Sometimes, a virus can damage the file system, sectors, or software of the card. In all these cases, you may not be able to use the photos. Note: It is advised to avoid linking your camera or card to random PC or devices. This can input virus in the card, which can damage the camera as well. If the SD card or memory card has bad sectors, you may not be able to access these photos. The photos may get corrupt or the file system may become faulty. This can also prevent your card from functioning properly. So, take utmost care while storing data. Don’t shut down the camera during transfer or remove the connected device abruptly. Anyone can delete photos by mistake. You can hit the delete button or format the card. In this case, don’t tamper with the card. You can lose all the data. Avoid connecting to it to the PC as it can be affected by the virus. Prefer using a trusted Canon digital camera photo recovery software. How to Use Canon Photo Recovery Software? Losing photos from your Canon camera can be bad. This digital camera recovery software that can help you save the photos. To use this Canon photo recovery software, download it from the official stellar web site. Select the SD card and Scan. Select the images/ pictures you need to retrieve. How a Photo Recovery Software Can Help? Stellar Photo Recovery Software can help you retrieve the lost data unless the card is physically damaged. The software is known to quickly help you restore the deleted pictures and other data. In fact, many renowned magazines prefer Stellar Photo Recovery and other related DIY solutions by Stellar to retrieve important information. You attached the card and the camera asked to format it. You hit the button by mistake. But, there is no option to restore these lost pictures now. You wanted to delete one photo which was of no use. But, you hit delete all photos instead. All the photos are gone and there is no backup. You connected the card to your PC and the PC presented a format option. You hit format and all the photos are gone. You were transferring photos from you Canon Digital Camera to PC. But, you removed the card without ejecting it safely. Some files become corrupt and you can’t use it. In all these cases, photo recovery software can help you save data with ease. But, if you have overwritten the data, it may not be possible. For example, you have other photos on the SD card. You only wanted to see if the old ones come back. This can re-write data. Or, you connected the card to infected PC multiple times. All of these can cause lasting data loss. You can also recover photos from SD card bad sectors with the help of this software. 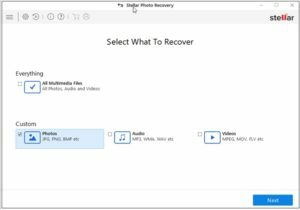 This photo recovery software has an easy & highly user interface, users of any skill level can use and recover their pictures. One of the best features of this software that it does digital camera file recovery. Most of the digital cameras allow to take picture in raw formats. Thus, making it difficult for other applications to recognize. 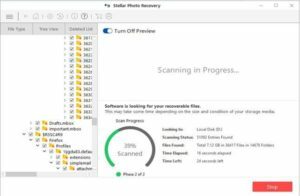 Stellar’s photo recovery software can recognize all major digital camera formats. Furthermore, if any complex control and recover is required the software offers advanced settings which lets you choose between unknown formats. Stellar offers customer support via live chat, email and phone. Plus you can find informational content like software knowledge base and manuals on the website. It is common to lose pictures from your Canon digital camera due to some software issue or accidental delete. 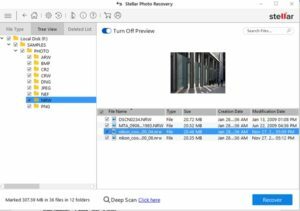 Hence, don’t panic as you can recover these photos if you use a good photo recovery software like Stellar Photo Recovery Software. The software can help you retrieve all the lost photos without harming your system or camera.